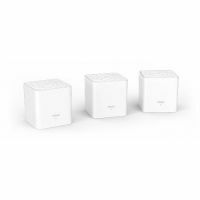 TENDA NOVA MW3(2-PACK) MESH - цена. IPsec pass through; PPTP pass through; L2TP pass through. Operating Temperature: 0℃ ~ 40℃; Storage Temperature: -40℃ ~ 70℃; Operating Humidity:10% ~ 90% RH non-condensing; Storage Humidity: 5% ~ 90%RH non-condensing.